Tuesday, August 26, 1913: Ruthie and I commenced on this pictures this afternoon. We made a negative. This evening we went to a party up at Bryson’s. There were so many there and lots that I didn’t know. The Experience is in the Tank. In our little booklet, “Tank Development,” free at your dealer or in the mail. EASTMAN KODAK CO., 365 State Street, Rochester, N.Y.
Today we had our S.S. picnic up at the creek. Not all that were invited came, but still I guess we had a good time. I initiated by camera by taking two pictures. In this era of digital photography—when it’s easy to take and then view hundreds (or thousands) of photos it’s hard to image how much knowledge and skill was required to get a few pictures back then. Blanche and Margaret Bryson were friends of Grandma and Ruth. 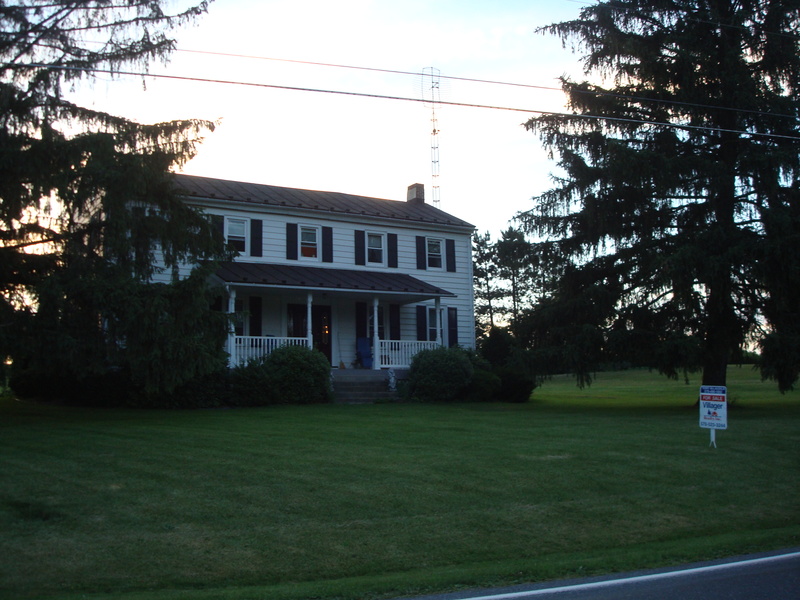 The Bryson’s lived on a farm north of McEwensville. And, I think that Grandma visited Margaret the previous Sunday—on August 24. I wonder if Grandma helped plan the party. What does “many” mean? How many people were at the party—15? . . .25? . . . 50? Who was at the party? Any “interesting” guys? Recent photo of the home where the Bryson family lived a hundred years ago. In my imagination, I picture young men and women playing croquet in the yard, and drinking lemonade on the porch (and maybe flirting just a little bit). Posted on August 26, 2013 August 26, 2013 by SherylPosted in AdvertisementsTagged 1913, Advertisements, family history, genealogy. Good catch! It is a funny image. 🙂 I changed it from crochet to croquet. Thanks! Wow, that’s great that they made their own photos and I bet the photos they took were carefully posed too. Yes, they probably would have been posed. Photos were so precious back then that people seemed to feel like they needed to pose them. Ahh to get your hands on those photos now… wouldn’t that be something? Amazing to think of developing your own pictures! I agree that people did many wonderful rewarding and meaningful activities a hundred years ago. I tend to think that back then that people were willing to work a little harder to understand introspective passages and long descriptions–and that they were rewarded for their efforts by the deeper understanding that they gained of the book (and themselves). I’ve been struggling to put that into words. I’ve been calling the present tendency superficiality, but that isn’t exactly right. I think the old virtue of fortitude (does anyone even know what that means anymore?) is just not valued any more. It’s as if breadth in experiences (see more, do more, faster) is more important than depth (explore the heights and depths of a place, a person, an idea). That’s impressive! Hope we get to know how the photos turn out. Wow! 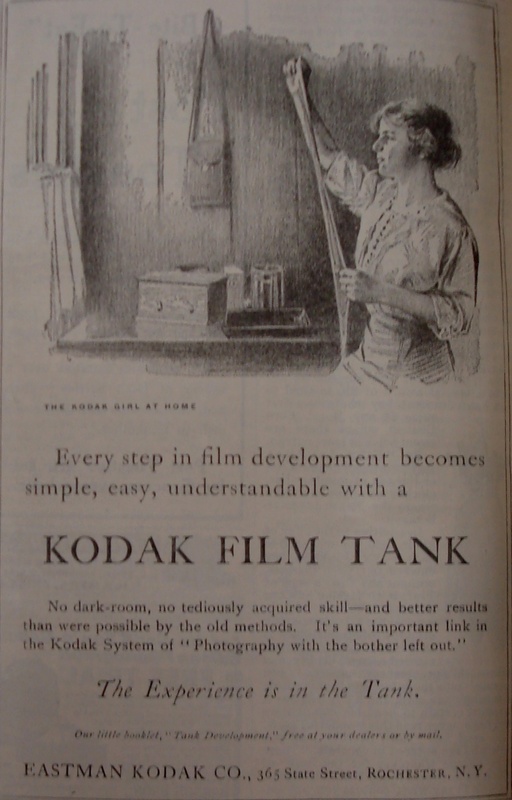 Helena and Ruthie were “Kodak Girls at Home”! I enjoyed the exchange between you and Traci Lee Karner in today’s comments, too.